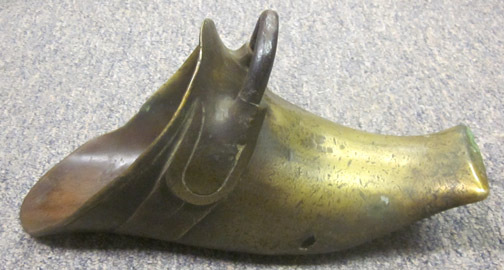 16th to 17th Century Spanish Knight's Brass Stirrup. 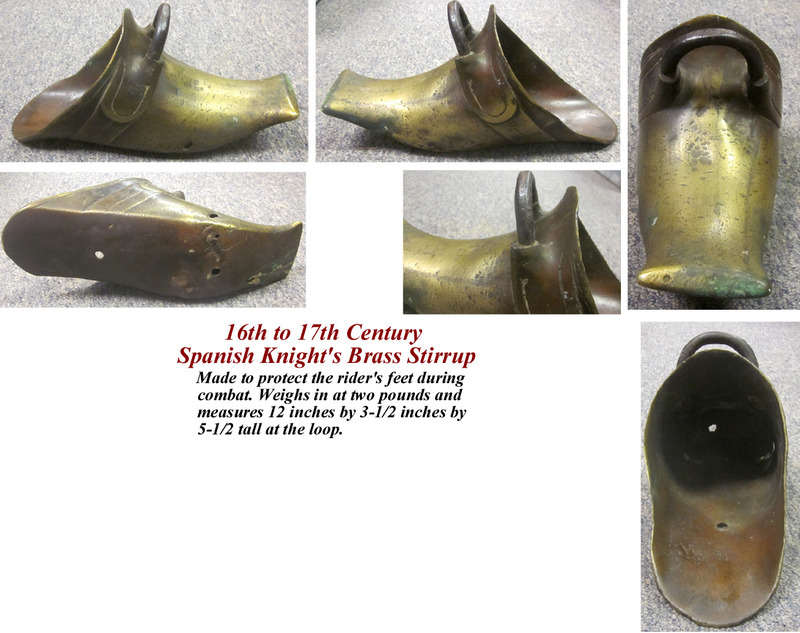 Made to protect the rider's feet during combat. Weighs in at two pounds and measures 12 inches by 3-1/2 inches by 5-1/2 tall at the loop. United Spanish War Veterans Encampment ribbon. 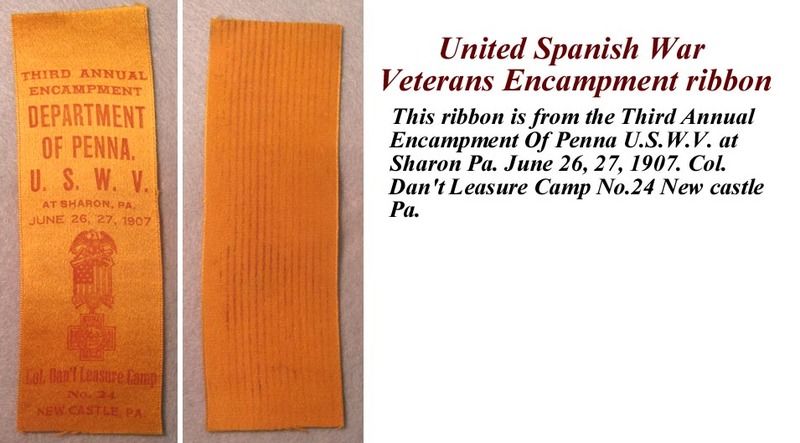 This ribbon is from the Third Annual Encampment Of Penna U.S.W.V. at Sharon Pa. June 26, 27, 1907. Col. Dan't Leasure Camp No.24 New castle Pa.
New Jersey Cartridge box plate. This plate is non dug, and has the attachement hook intact. 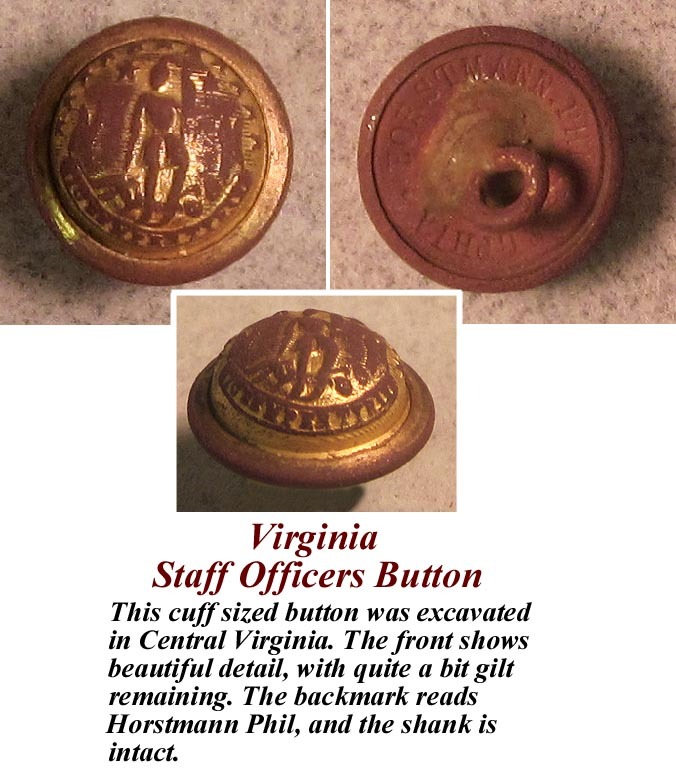 Virginia Staff Officers Button (cuff sized). This cuff sized button was excavated in Central Virginia. The front shows beautiful detail, with quite a bit gilt remaining. though slightly leaning to one side, as shown in the picture.